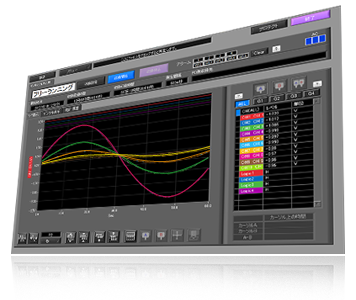 The application software connects GL series to PC. 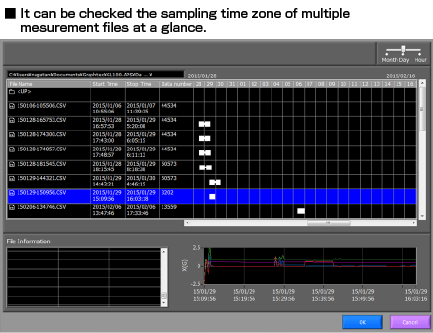 It perform such as setting, recording, and managing the captured data. The direct-Excel function enables captured data to be written directly to an excel file. 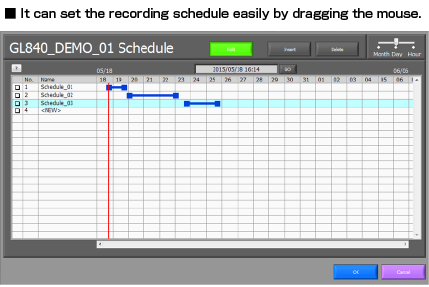 Data capturing schedule can be set visually and intuitively. It easily can find a device that is connected with the PC and start the operation. 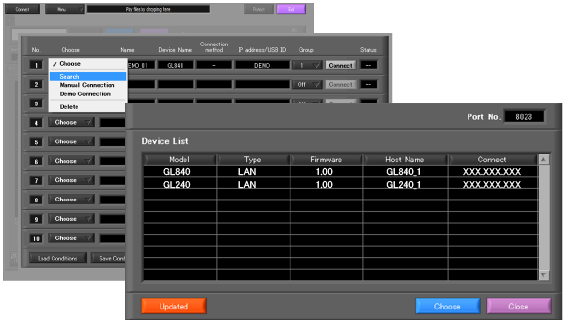 In addition to each GL840 or GL240 individual file,　the group file can be created by setting multiple GL840 or GL240 to the same group in the connection menu. Settings control Input condition, Capturing condition, Trigger/Alarm condition, Report, etc.